Once again, Joan Adler and Catherine Smith traveled to Georgia for the Harvest Days in Old Talbot Weekend. "Harvest Days in Old Talbot" was the eighth annual weekend hosted by Michael H. and Debbie Buckner of the Patsiliga Museum in Junction City, GA.
During the weekend, Joan and Catherine set up photographs, books and other informational materials in the dining room of Mike & Debbie's incredible Georgia home. Hundreds of visitors came through to learn about the Straus Family and their connection to Georgia. As always, the festival was a great success and we are thrilled that we could be a part of it once again. Thank you to Mike & Debbie Buckner who hosted the weekend and us at their home. We hope to see you all there next year! 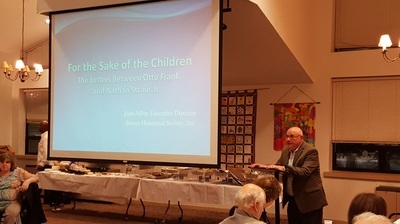 On Friday, May 6th, Joan Adler gave a presentation about her book, For the Sake of the Children: The Letters Between Otto Frank and Nathan Straus Jr., at Temple Beth Torah in Melville, Long Island. 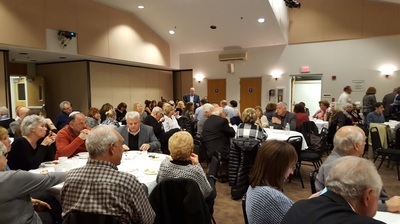 The presentation, which was held after Yom Hashoah and Shabbat Services, as well as a lovely catered dinner for the congregation, was attended by over 70 guests and was followed by a fascinating Q&A. We are so thankful to George Borsuk who invited us to his synagogue and to all those who attended. We hope to return again the future. On Saturday, April 16, from noon to 2, people gathered in Straus Park to celebrate the 101st year since its dedication. The event was hosted by Friends of Straus Park and was well attended. Throughout the afternoon, visitors to the park saw displays of Titanic materials and memorabilia in the park. Thank you to all those who stopped by. Look for more upcoming Straus Park events on our Upcoming Events Page! 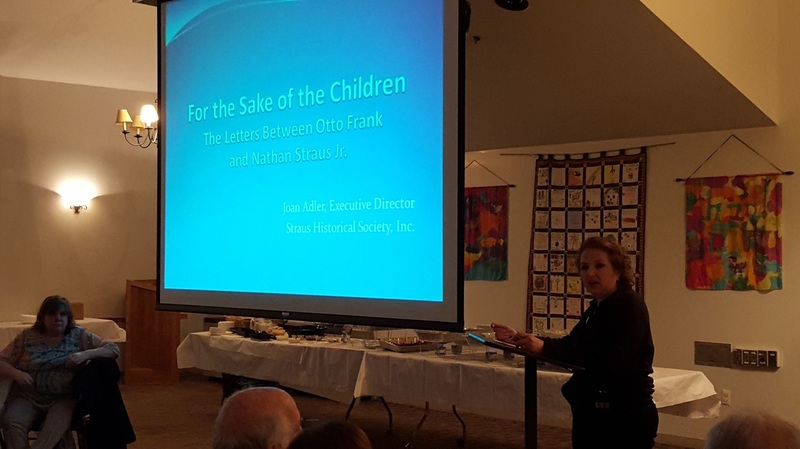 ﻿On Tuesday, March 29, Joan Adler gave a presentation about her book, For the Sake of the Children: The Letters Between Otto Frank and Nathan Straus Jr. at The Anne Frank Center USA in New York City. The presentation began at 6:30 pm and was be followed by a Q&A. Thank you to Rebecca Faulkner, the Deputy Director of the Anne Frank Center for inviting Joan and coordinating this event. 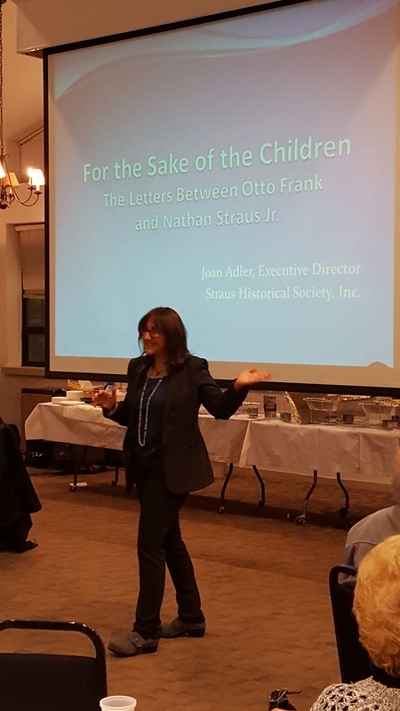 On Monday, March 28, Joan Adler presented a program on the history of the Straus Family to the Women's Club of the Suffolk YJCC in Commack, N.Y. Beginning at 2 pm, Joan and Catherine set up tables filled with photographs of the Straus family and followed the presentation with an interesting Question & Answer session. Thank you to Myra Rosenthal for making this presentation possible. 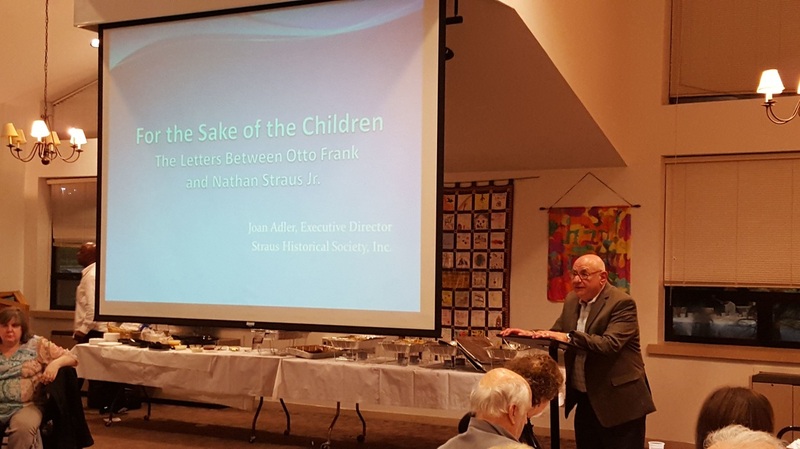 On Wednesday, March 2, Joan Adler presented a program about the Straus Family and the monuments to them in New York City. 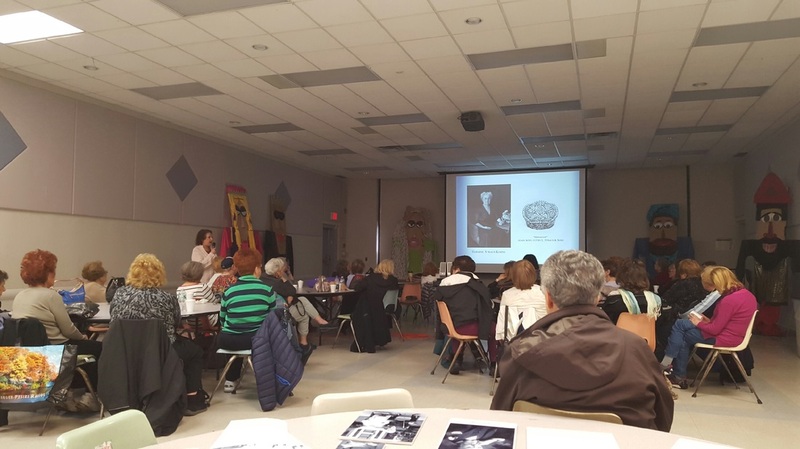 This program was hosted by the Guides Association of New York City (GANYC) and was held during their Monthly Membership Meeting. The presentation took place in the Chapel of St. James in The Cathedral of St. John the Divine and was attended by well over 60 guests. The presentation was followed by a very interesting Q&A. Thank you to Dave Gardner and Nina Mende for inviting us to speak and for helping to make this presentation such a success! 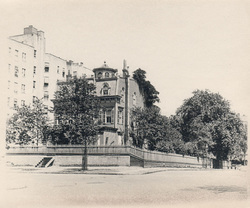 On Monday, January 22, the Bloomingdale Neighborhood History Group hosted a presentation by Jim Mackin entitled "The Straus Family: The family, their Life in the Bloomingdale Neighborhood and the History of Straus Park." The program began at 6:30 at Hostelling International, 891 Amsterdam Avenue at West 103 Street and was attended by well over a hundred interested guests. This presentation was a follow-up to Joan Adler's presentation with the same group last year and was a very interesting and well done presentation. Thank you to the Bloomingdale Neighborhood History Group and to Jim Mackin for inviting us!